It was a wild day for stocks. 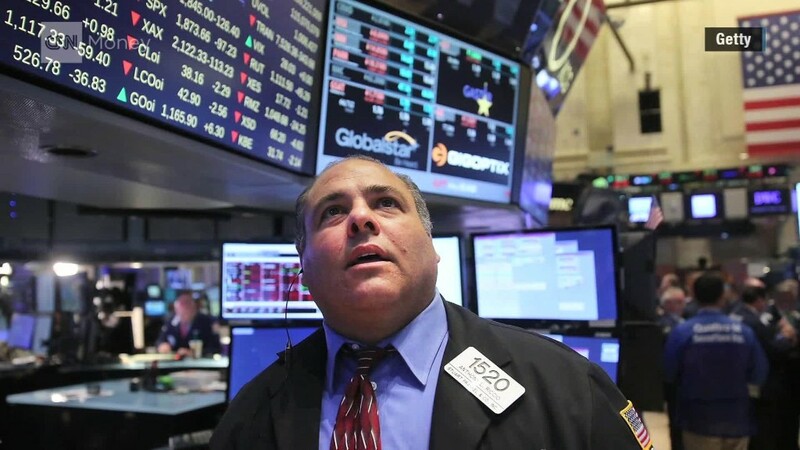 The tumult began when the Dow opened Monday with a 1,000-point nosedive. Stocks recovered somewhat by midday, but the Dow ended with a loss of almost 600 points. The volatility was triggered by a few factors, including another selloff in Chinese stocks, falling oil prices and uncertainty about whether the Federal Reserve will raise interest rates in September for the first time in about a decade. Trading was extremely heavy. The New York Stock Exchange saw the heaviest trading in more almost four years. Some stocks like Apple (AAPL) saw three times the typical amount of trading. Here's a look at which stocks saw the most action. CNNMoney's Heather Long contributed to this article.